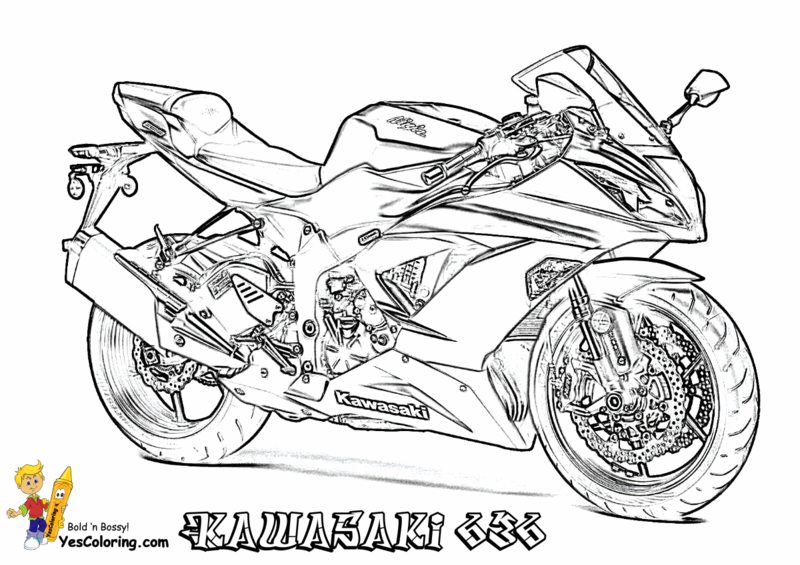 Rugged Motorcycle Coloring Book Pages 03! 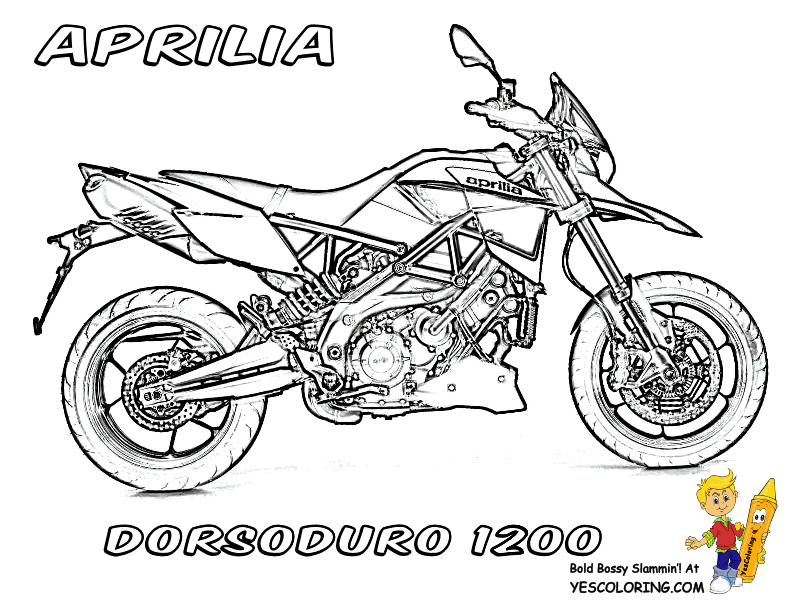 Motorbike coloring sheet kid, we will go over off-road / motocross motorcycle types. Motor cycles driven hard on tracks, dirt trails or your family's front yard are called off-road and Motocross motorbikes. 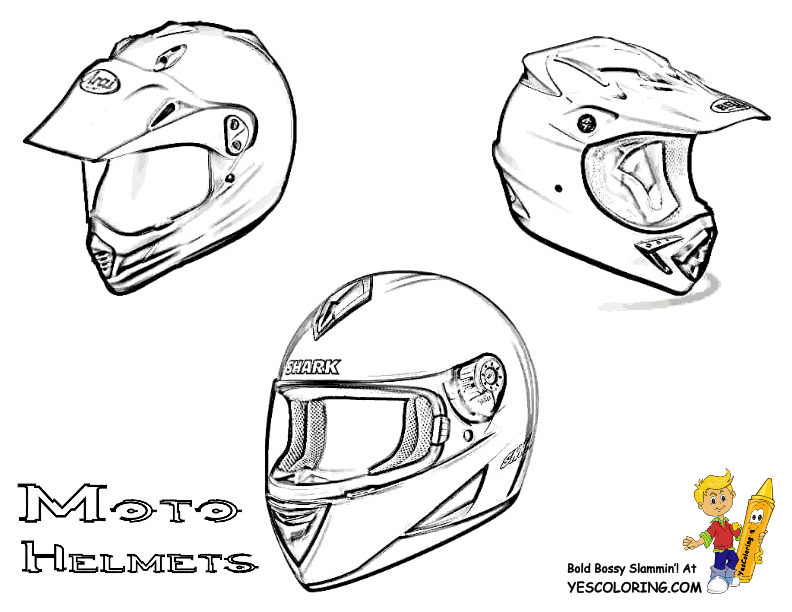 Motocross Bikes are known as MX or MotoX. MX or MotoX means "Motorcycle" and "Cross Country". These bikes are designed for racing over closed circuits, often with jumps, over mixed terrain of gravel and, or mud or sand. Sometimes simply called "dirt bikes" when not being raced, they can also be used for informal off-road recreation, or "mudding". Supermotos came about in the 1990s. These "Supermotards" are motocross motorcycles. They are outfitted with street wheels and tires similar to those used on sport bikes. Riders of these machines compete in special rallies and races - motocross and road racing. Supermoto racetracks are tarmac with some dirt terrain. ...Trials Motorcycles are super light with no seats. You perform standing up. Standing up demands maximum freedom of body control and stunt capability. Judges observe you in timed trials competitions. Trials events have sections. 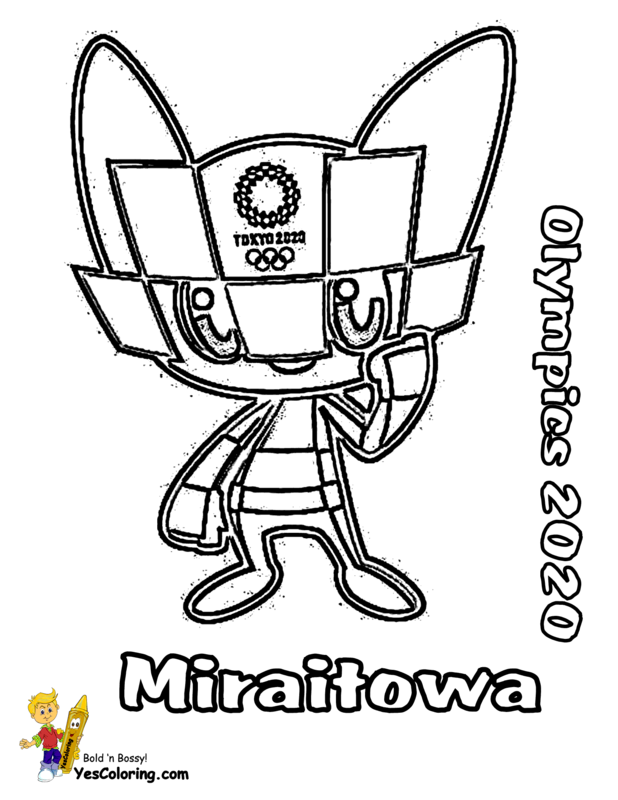 You ride through an obstacle course. You must not touch the ground with your feet. Each time you touch the ground with a foot your penalty is one point. 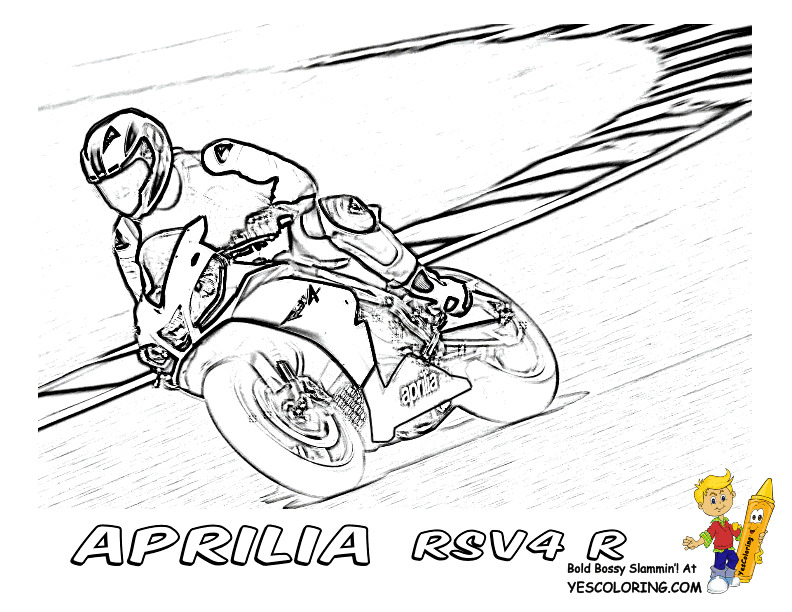 This is a high skills motorcycle competition - so practice a lot. Motorcycle coloring kid, you now know the difference between street motorcycles and off-road motorbikes. 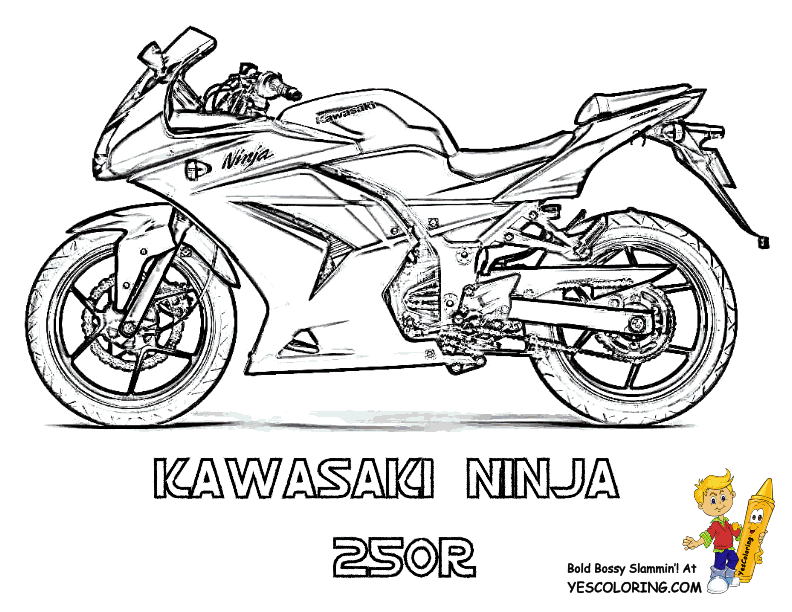 You can teach another motorcycle coloring book kid what you learn.